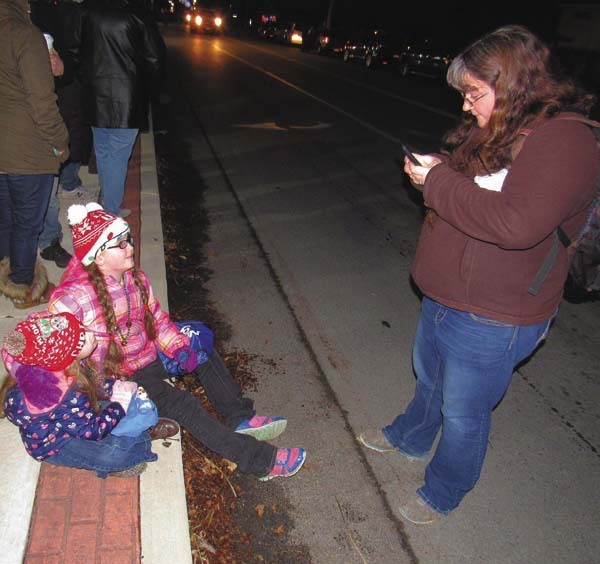 NORTHVILLE — As the third of four generations in the village, Cassie Yates was more than enthused about the first Christmas parade here. “There are generations of families that come together as one,” she said. 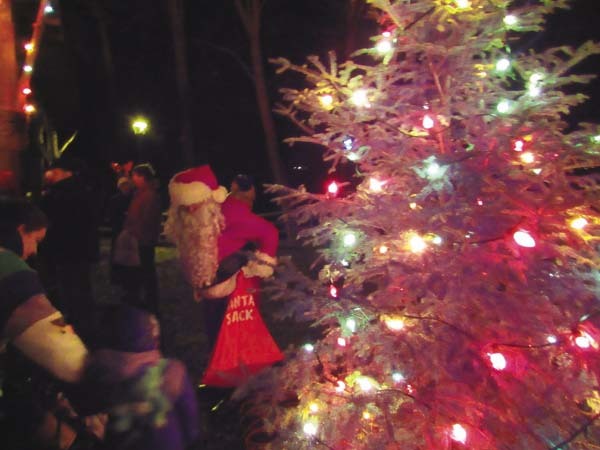 So many people turned out for the late-afternoon parade that Waterfront Park was packed for after-parade activities–tree lighting, a bonfire, visits with Santa, holiday songs by the Sacandaga Musical Theatre, and free homemade food. 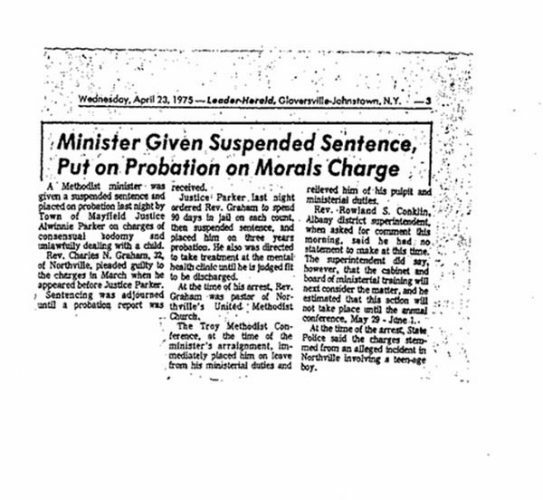 The parade formed on the school district’s athletic field, marched up Bridge Street, turned right on Main Street, and disbursed at the park entrance. 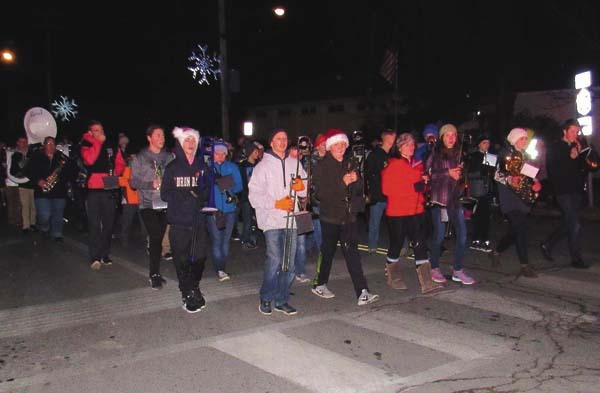 The middle school-high school marching band was in the lead and continued to play seasonal music in the park with individual LED lights that enabled them to read their sheet music. 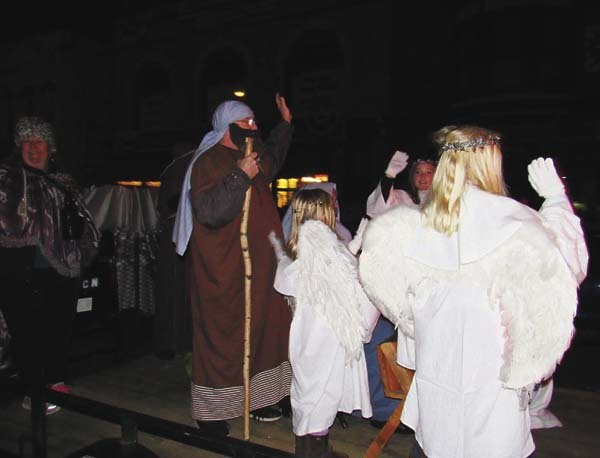 The whole program — music and floats — captured both the secular and sacred aspects of Christmas. 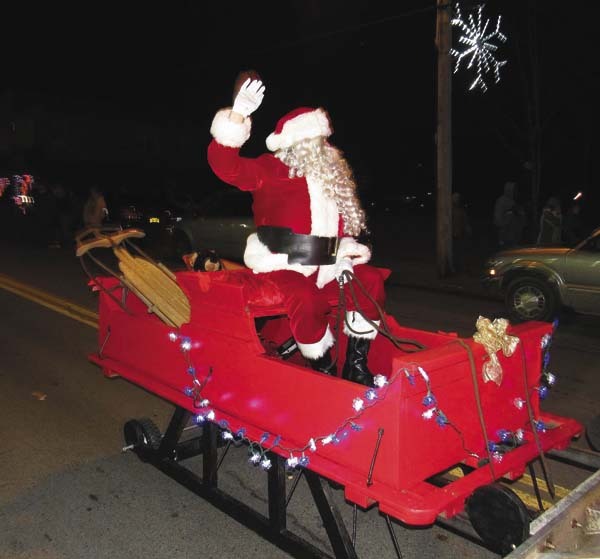 Parade floats and themes included a Nativity scene by village Baptist Church and the Presbyterian Church choir, in addition to the Grinch, Elsa from the children’s movie “Frozen,” and, of course, Santa Claus. 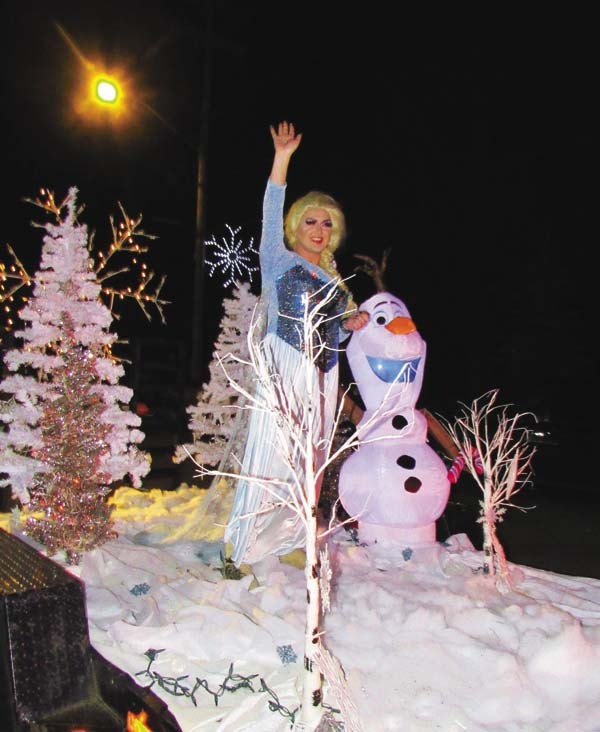 “My favorite part was Elsa,” said Amanda Daum of Northville. 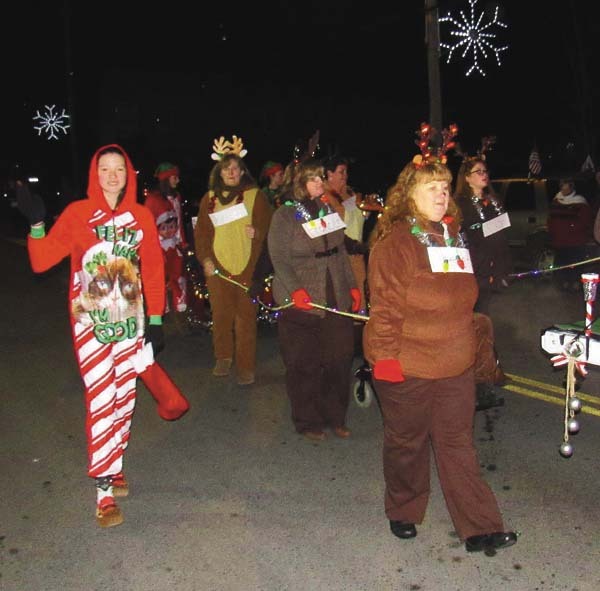 Among the other parade participants were Girl Scouts, NCS cheerleaders, Sacandaga Musical Theatre, Northville and Edinburg fire engines, the Bumpus family John Deere tractor, and the Northville Ambulance-Northampton Ambulance. Darcie and David Knapp of Northville came to the parade with their sons David “DJ” James, 2, and Liam, who’s pushing 2 months old and was bundled on his mom. Larry Vrooman of Top Shelf Entertainment Services was playing seasonal music prior to the parade’s start, and announced the various floats and participants as they approached Main Street. 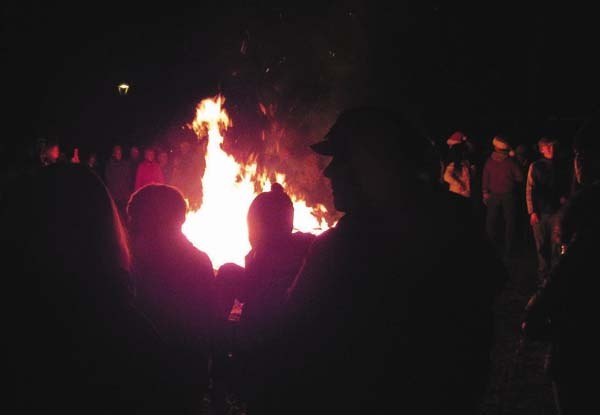 The activities at the park were not new this year but the parade was added “probably because we didn’t do anything for Halloween,” said Dianna Downing of Hope, who volunteered with the Northville Civic Association, which sponsored the events. 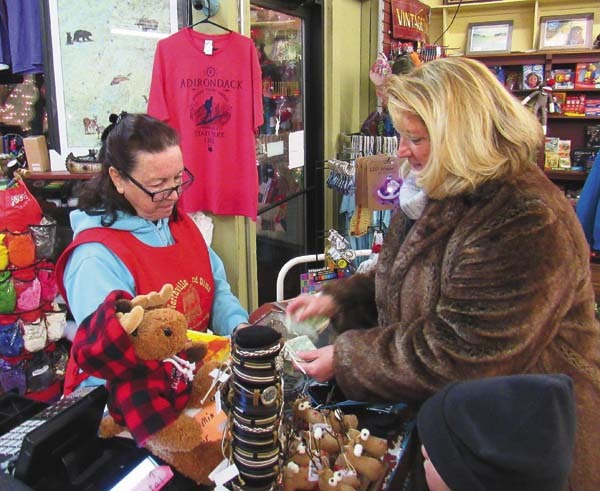 The program was a boon to downtown businesses. “Normally it would be dead tonight,” said Elayne Wade, manager of Northville 5 and 10 Cent Store. “We were busy all day” and “10 times as many people” were on the streets, she said. Timeless Tavern was hopping with business after the parade. 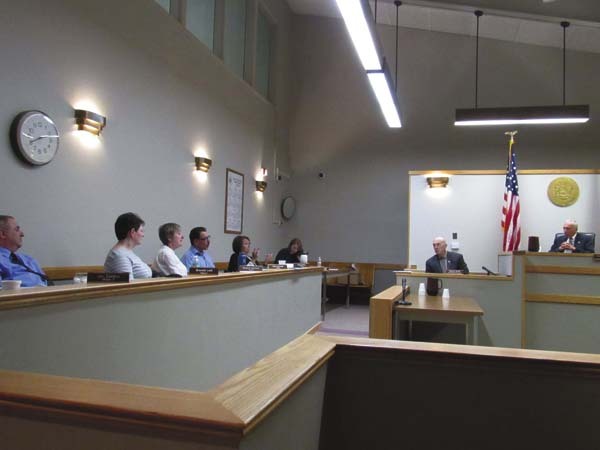 The day’s events got a rave review from Carol Bornt of Northville. “The music, the lights and everything was so beautiful,” she said. Make-a-Wish was promoted with a red mailbox in the park where letters for Santa could be dropped. Macy’s Believe program plans to donate $1 to aid critically ill children for every letter deposited in the box. Toys for Tots was also promoted at the event. 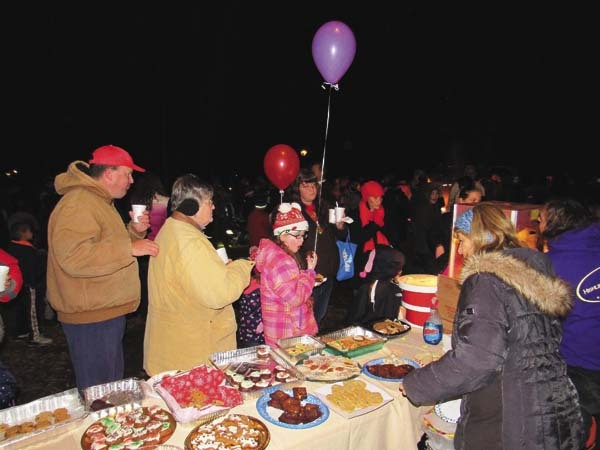 While free food and drink were provided in the park by the civic association–courtesy of volunteer bakers — donations were also accepted at the goodies table to help support the village’s food pantry. Sacandaga Musical Theatre adult and youth choruses and soloist Chris Draffen performed in the band shell. The Sacandaga Musical Theatre choruses will present a Hometown Holiday concert at 4 p.m. today in the NCS auditorium.